Minister of State for External Affairs M J Akbar today said the government is working on a vision to set up one passport centre in every 50 km range in the country in future. "Passport is a right. It is not a gift. We are a democracy," Akbar said while inaugurating the Post Office Passport Seva Kendra (POPSK) in north Kolkata's Beadon Street Post Office. He said the as per "Prime Minister Narendra Modi and MEA minister Sushma Swaraj's vision to reach out passport facilities to the common man, one passport centre (POPSK) will come up in every 50 km range in future." The Union minister also inaugurated another POPSK in Kishnanagar in Nadia district through video-conferencing at the same time. 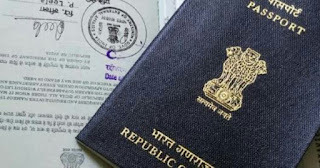 Akbar said, "instead of the past when people were in quest of passport, now the government wanted passport office to be in quest of its citizens." "We are committed to give upper class seva to gariv seva," he said. Akbar said while in West Bengal POPSK had come up first in Asansol and then in Raiganj, the government would now set up similar offices in Siliguri and Darjeeling. "Passport offices will now come up in places where one could have never imagined in past. The project began one-one half year back and now it has picked up speed. You will see exponential growth in coming days." On the issue of POPSK coming up at Beadon Street Post office, Akbar said, "It had never been thought by anyone in past that there could be collaboration between Department of Posts, West Bengal circle, and Regional Passport Office, Kolkata in this way." Akbar, a former journalist, said "in past some of the officials had made passport offices a power centre and the whole process was very very laborious." "People were scared about the days to take the whole thing to complete, about the number of times they would have to stand in queue. Not any more," he said. Turning to another issue, the minister said, "The post offices are good real estate examples. We must think how to modernise their real estate, how to maximise their potential which will result in new productivity." Applicants in Normal category (Fresh/Re-issue) only will be entertained at the two new POPSKs, Regional Passport Officer Bibhuti Bhushan Kumar said.